After my first meeting with Lawrence, I knew I could entrust him with my 4-storey landed cluster house on Gilstead Road. Lawrence, with his architecture background and gifted talent in ID, utilized all the redundant spaces in the space tight bedrooms and re-designed all to meet my family’s comfort level. Especially the bedroom in the basement, the transformation was incredible; even my son commented “clever design”. The kitchen is lovely. The placement of the hob, the sink and the electrical items synchronize perfectly and anyone who loves cooking will find this kitchen perfect. The family room at the top level was kind of hot in the day. Lawrence changed the fixed glass panels to sliding windows which reduced the trapped hot air and improved the ventilation. Now we can enjoy the room anytime of the day. Working with Lawrence had been a breeze. I would say he was exceedingly accommodating and patience with me throughout the whole process of the renovation. With his professional guidance, the renovation was completed with minimal hitches. 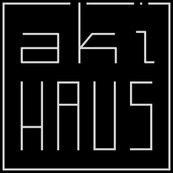 My next renovation will definitely be – AKIHAUS.